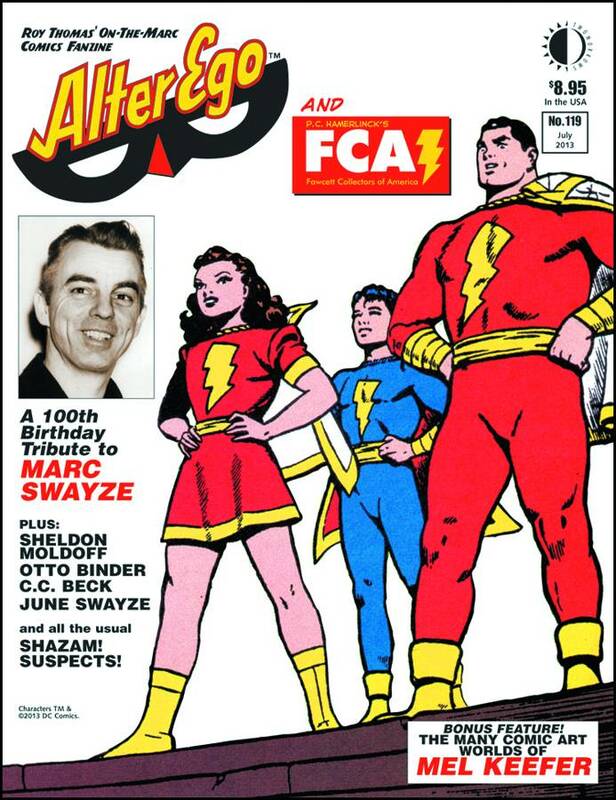 Alter Ego is an FCA (Fawcett Collectors of America) celebration of the life and art of the late, great Marc Swayze, on what would have been his 100th birthday, marking 119 issues in a row of his being a part of A/E! It includes salutes from past and present, from C.C. 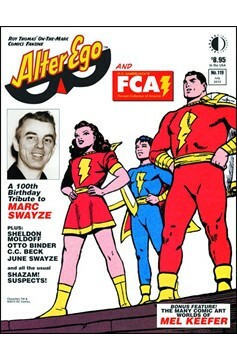 Beck and Otto Binder and all the usual SHAZAM! suspects plus Swayze Marvel Family cover art from the 1940s, a special interview with wife June Swayze on Marc and her own singing career, and a full Phantom Eagle story from Wow Comics!.